Ford Escape — The hybrid version of this 'cute ute' gets close to 40 miles per gallon in city traffic. By June, Toyota will offer hybrid engine systems in two of its SUV models. As I leave work for the day and head for an SUV parked in an underground garage, a colleague glances up from her desk and, with a sweet smile, says: "I hope you hit a lot of traffic." But she's not sarcastically demanding gas-pump justice from a solo commuter driving way too much car. Rather, she knows that when I start the slow roll home, my ride will be golf-cart quiet and (mostly) emissions-free. 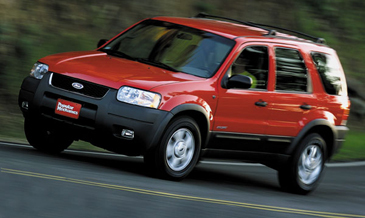 The vehicle: a 2005 Ford Escape Hybrid, the gas-electric version of the V6 "cute ute" launched in 2001 and first offered in hybrid form last fall. About $3,500 more than its outwardly identical gasoline counterpart, it's the pioneer in a paradoxical-sounding category: the eco-friendly sport-utility vehicle. With "clean diesel" vehicles a couple of model years in the future, and hydrogen fuel-cell cars even farther down the road, it's encouraging to see automakers working to deliver a smart interim option for consumers seeking fuel efficiency and ultralow emissions in an SUV. The Escape Hybrid's 2.3-liter four-cylinder engine is paired with a 70-kilowatt motor that produces the equivalent of about 95 horsepower - enough to move the SUV through city traffic all by itself. The gasoline engine engages in milliseconds when the Escape needs more muscle - accelerating quickly, for example. The electric motor assists then, too. The hybrid could run about 25 miles on electric power alone if driving conditions were right (and if you didn't need to use the air conditioner). Watching the tachometer register zero revolutions per minute as the SUV noiselessly creeps along in 20 m.p.h. city traffic takes time to accept. Realizing that you haven't ignited an ounce of gasoline in the 10-minute slog toward a tollbooth can be elating. The Escape Hybrid - suggested retail price between $26,000 and $28,600 - gets close to 40 miles per gallon in stop-and-go driving. It comes in front- or four-wheel drive. 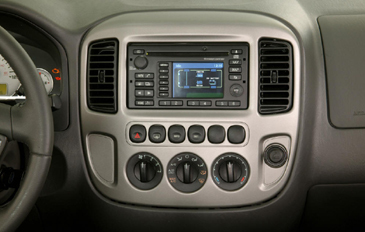 Inside, the Escape has a fairly utilitarian feel compared with some of its plusher cousins in the SUV world. But it seems not to compromise on performance. Acceleration is smooth, the switch to gas power barely noticeable, and it hums along nicely at highway speeds. Like many of today's cars, the Escape uses a continually variable transmission - essentially an infinite range of "gears" - eliminating the little lurches felt during acceleration in older automatic- transmission cars. Its 300-volt battery pack - worth lifting the carpet for a peek - is neatly stowed beneath the rear cargo deck at no cost to interior room. The Escape's regenerative braking system and gasoline engine keep the battery pack charged. It is never "plugged in" anywhere. Space is respectable for a small SUV. With the rear seat down, the Monitor's test car easily swallowed up about 500 pounds of audio equipment, including two 85-pound speakers and a components case nearly five feet long. Before Escape, the only mainstream vehicles propelled by combination electric-motor and combustion-engine powerplants were quirky cars you can still easily spot in traffic - Toyota's Prius and Honda's Insight. Honda has now added a hybrid Civic and Accord. More hybrid cars are coming soon. Toyota, a lead developer of hybrid technology - some of which was licensed by Ford - recently introduced hybrid versions of its popular Camry sedan and Lexus RX400 car-based SUV. It also plans to launch a hybrid Toyota Highlander in June. 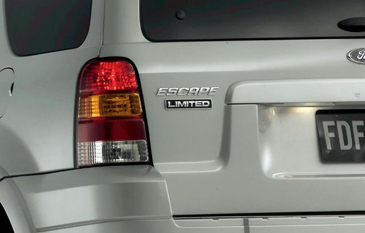 A hybrid Mercury Mariner - basically an Escape with a Mercury badge - is also nearing release. Ford reportedly sold more than 1,700 Escape Hybrids in April, the strongest month in the car's seven-month history. But some consumers might hold back on Escape and its ilk. For one thing, there is the danger of current hybrid technology becoming outdated, hurting resale value. And some car shoppers have questions about battery life. Most current hybrid batteries appear fully capable of soldiering on for at least eight to 10 years or 100,000 miles, probably more, before degrading. After that, replacement could run to a few thousand dollars, roughly equal to the one-time tax credit offered to hybrid buyers. (Of course, buyers have already spent at least that amount to cover the sticker-price difference for their hybrid version.) Reclamation trade-in deals should ease consumers' worries about producing waste. Keeping it clean is what this stealthy little sport-ute is all about.